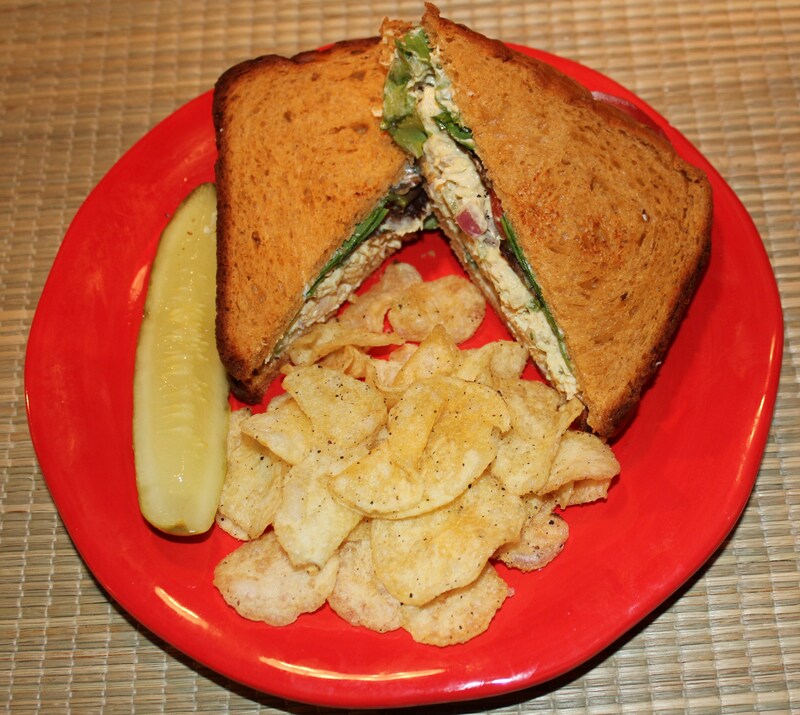 Chicken salad is one of my favorite sandwich fillings, and luckily there are a number of places in Raleigh that get it right (I will blog about those soon.) 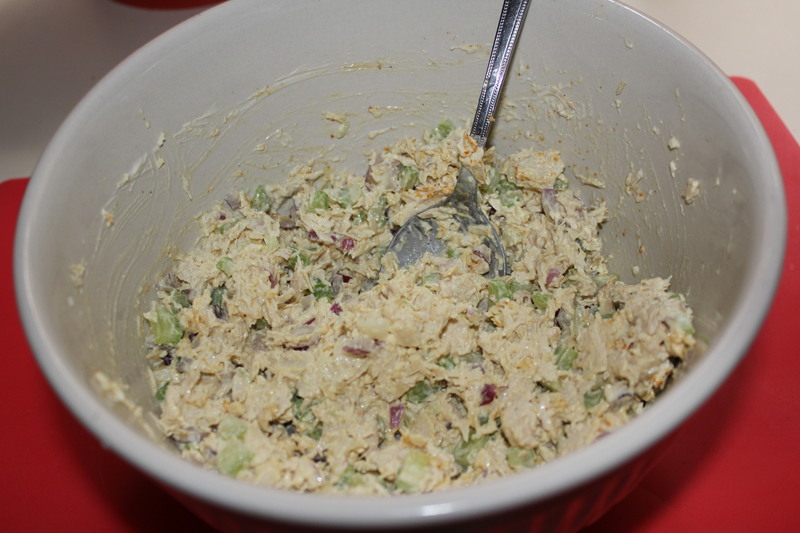 I recently posted my recipe for chunky curried chicken salad, which is a great change of pace from what you normally get in restaurants/stores in the area. 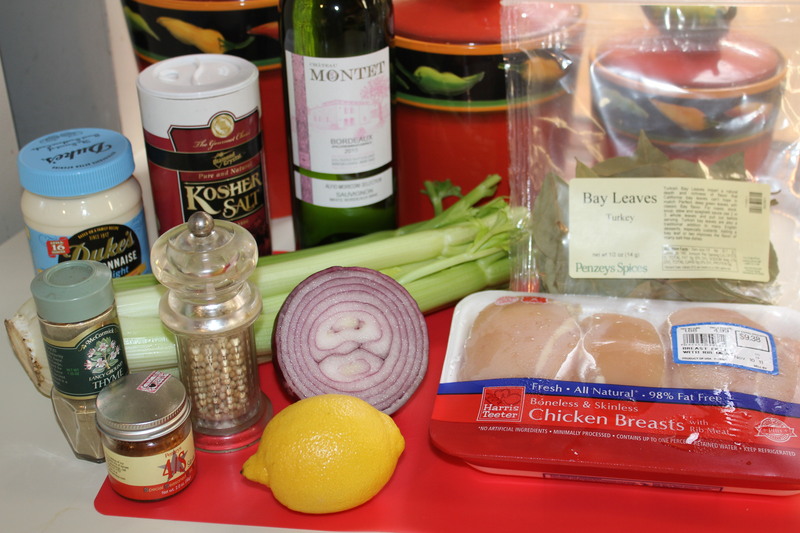 However, not everyone likes curry (hard to believe, isn’t it), so here is my recipe for a more traditional chicken salad. The good thing about this is you can control the calories by using light or fat free mayonnaise and by not adding too much of it, without sacrificing the taste. Bring white wine, water, bay leaves, thyme, kosher salt and lemon to a boil in a large skillet. 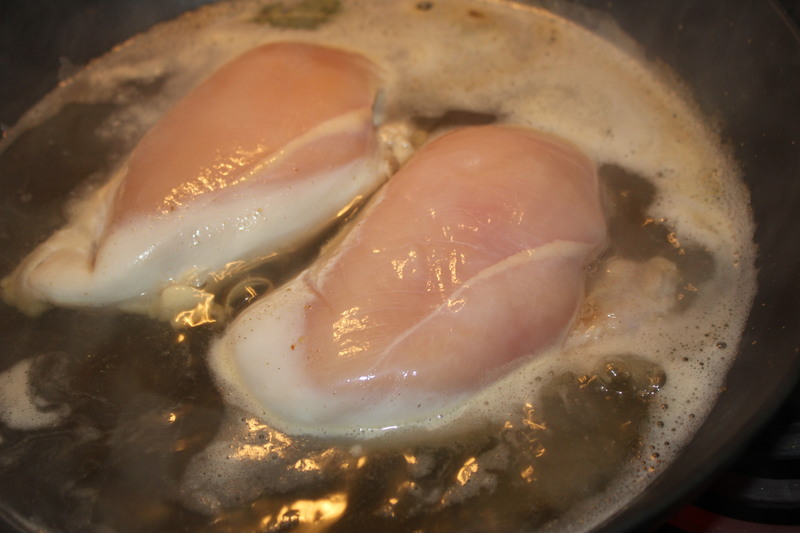 Add the chicken breasts and poach for approximately 15 minutes – turn over the chicken about half way through. The chicken should not be pink on the inside. Let cool. 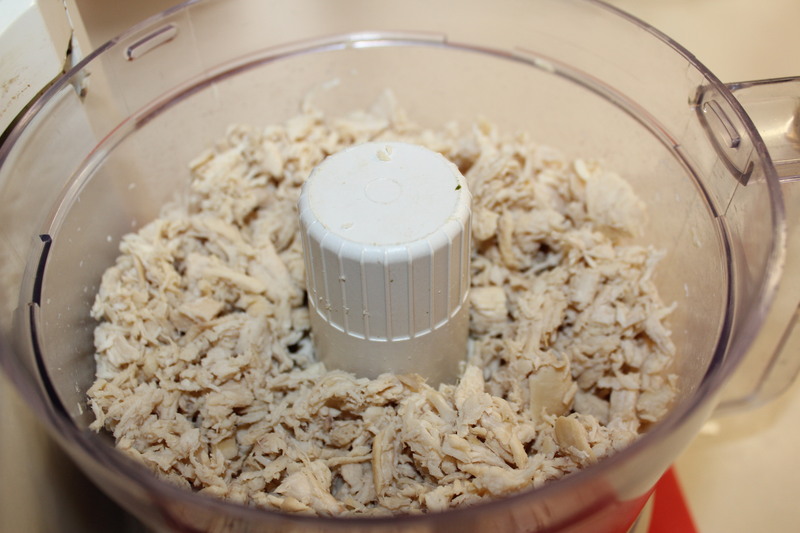 Cut up the chicken into chunks, add it to the food processor and process for about a minute or so. Sprinkle with the 4S salt and pepper, to taste. 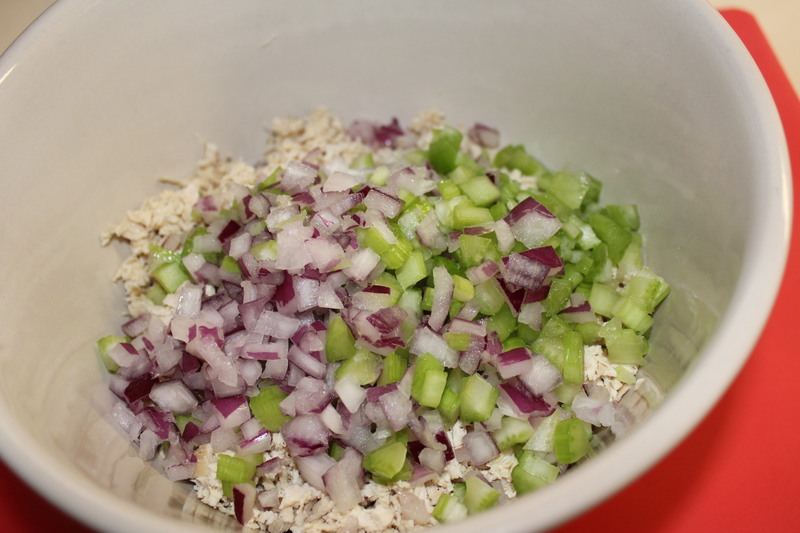 Fold in the light mayo – I start with ¼ cup and then add more if needed. Chill for at least an hour before serving. I like this chicken salad on good bread (like this sandwich on my homemade beer-cheese bread), to stuff in pita bread with lettuce and tomato, or in wraps. 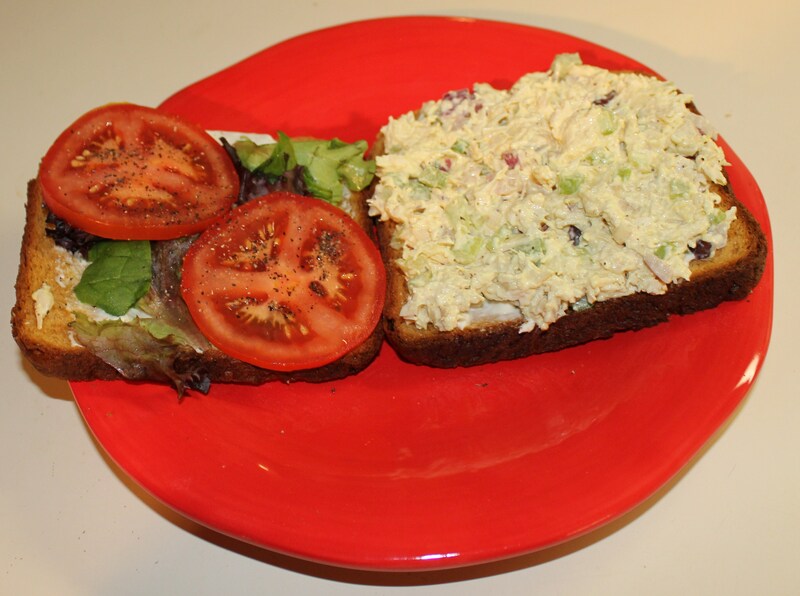 This entry was posted in Meat and Poultry, Recipes and tagged chicken salad recipe, creamy chicken salad recipe, eat drink and be merry, kel's cafe of all things food, Kel's creamy chicken salad, Kelley Chisholm recipes. Bookmark the permalink.